In case you weren’t able to attend our festive holiday show, “Home for the Holidays,” and missed the big announcement, Sweet Scarlet is heading to the International Choral Kathaumixw! Taking place in Powell River in July of 2016, this festival is a 5 day choral festival filled with concerts, common song singing, choral & vocal solo competitions, conductor’s seminars and social events. And we’ve been accepted to attend!! We couldn’t be more excited to be able to plan for and dedicate ourselves to 5 fun-filled days of singing, listening and socializing with other choir enthusiasts from around the globe. Past festivals have seen participants from as far off as Russia, Puerto Rico, the Phillippines and Denmark. We’ll be honoured to be present amongst such a talented and diverse crowd. But for now, that means PLANNING! 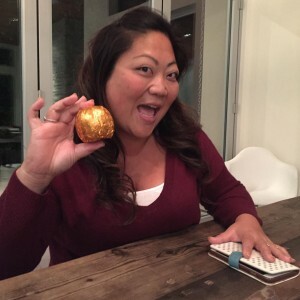 This past Sunday, we gathered to dream and scheme (and eat chocolate) for an epic 2016. We’re looking forward to some big things, including not only Kathaumixw, but hopefully also some recordings (did someone say Christmas album?? ), some new photos and maybe a new website! Once again, a huge thank you to all of our fabulous supporters and fans! We’re excited for what 2016 will bring, and can’t wait to share all our new plans with you! P.S. For those of you who missed our Christmas show, we’re uploading video footage from the show to our YouTube channel. Check it out!